MoMath Celebrates the Pythagorean Theorem! What kind of public MathHappening events has MoMath held in honor of Pythagoras Day? 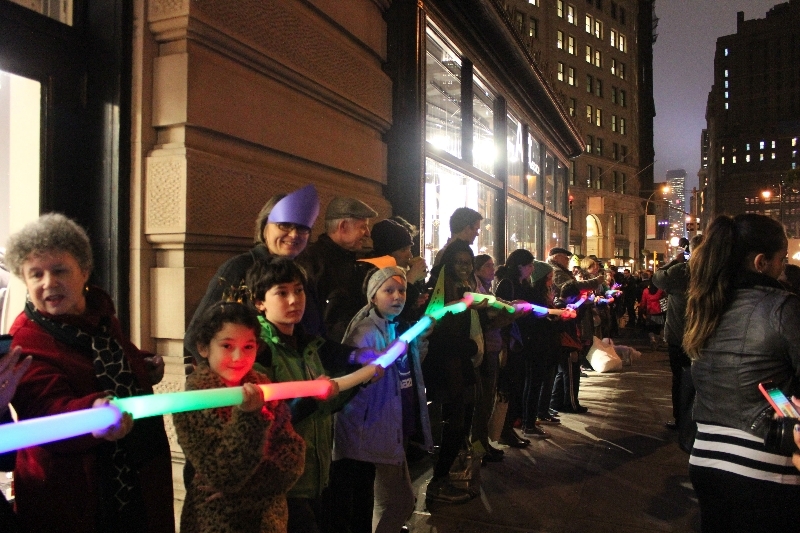 On December 5, 2013 (12/5/13, a Pythagorean triple), hundreds of New Yorkers lit up the night by surrounding the Flatiron building in NYC with glowsticks. Side A, the shortest side, measured 75 glowsticks; side B measured 180 glowsticks; and side C measured 195 glowsticks. 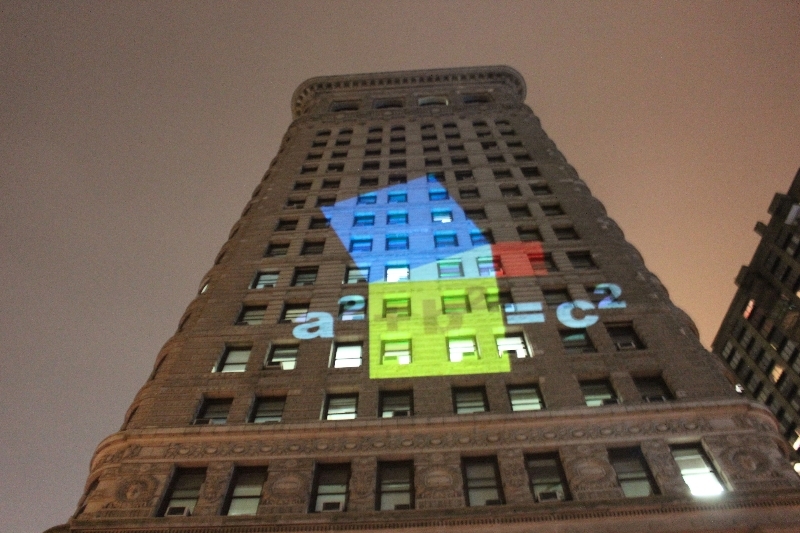 Since 752 + 1802 = 1952, A2 + B2 = C2 — an exciting mathematical illumination! A 75-180-195 triangle also simplifies to 5-12-13, making the Flatiron building a perfect location to celebrate 12/5/13. On August 8, 2015 (8/17/15 — another Pythagorean triple! 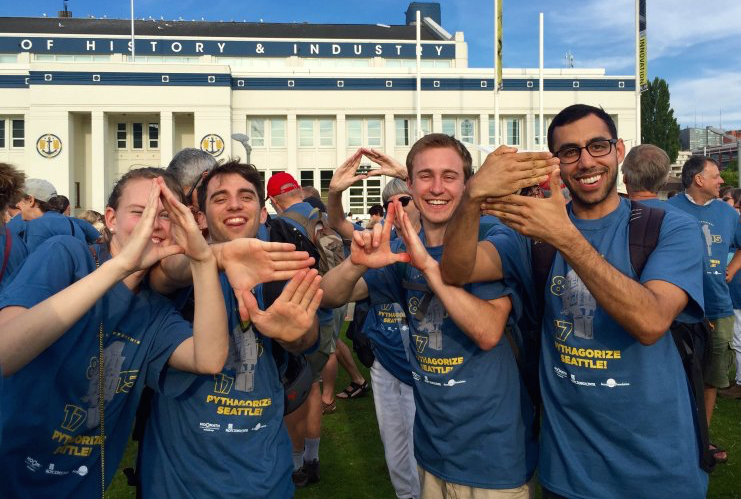 ), hundreds of Seattle-based math lovers headed to Lake Union Park, joining MoMath and the Pacific Science Center for another MathHappening event! 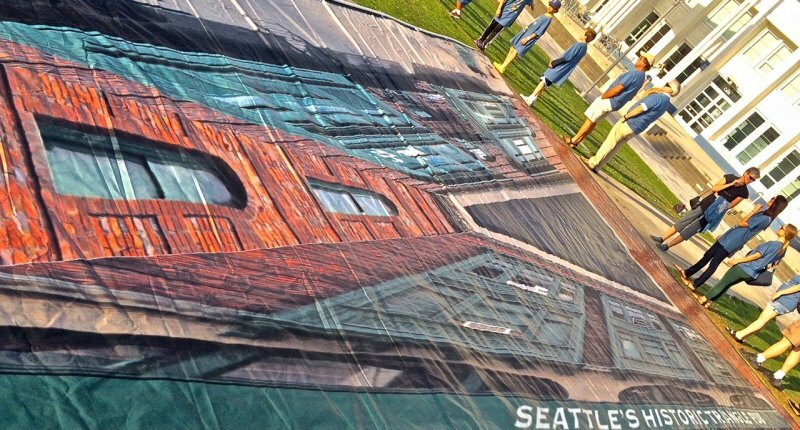 Pythagorize Seattle also honored Seattle’s historic Triangle Pub, which was selected from triangular buildings around the country because its dimensions measure 8 meters x 15 meters x 17 meters. Participants lined up in squares based on the dimensions of the building, creating a human proof the Pythagorean Theorem. Watch upcomingevents.momath.org to see more about upcoming MathHappenings as they’re posted!